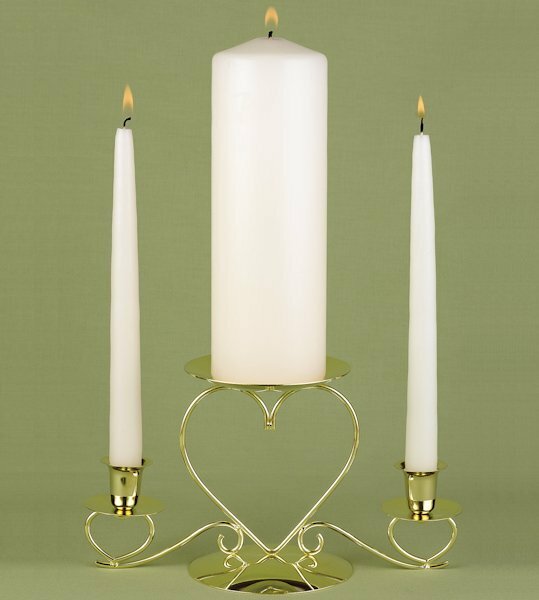 This basic set consists of a 3" by 9" round unity candle with a pair of matching 10" tapers. Order the 3 piece set or the unity candle by itself. 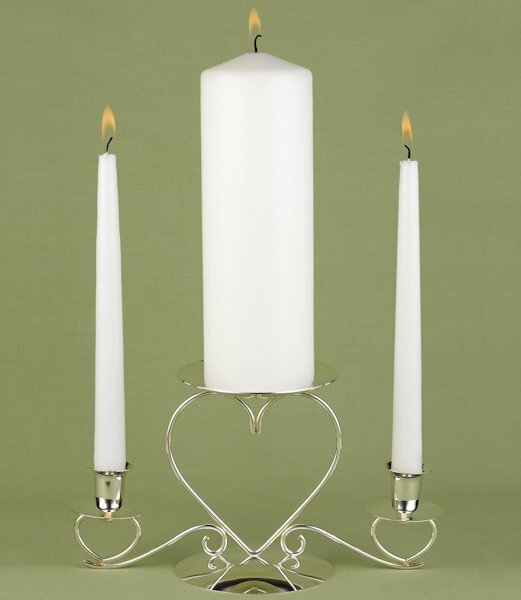 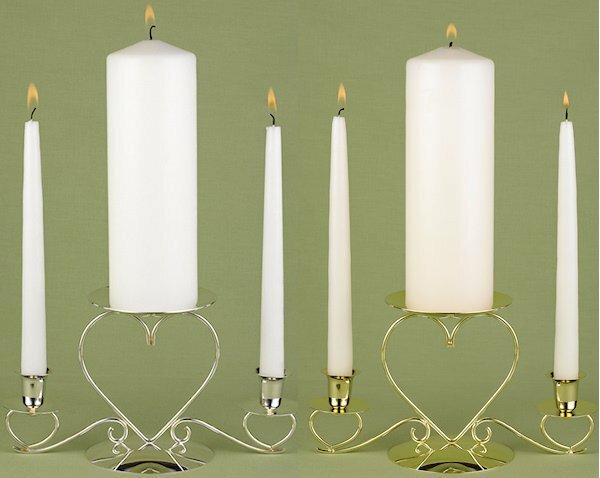 Triple Heart Candle Stand sold separately (item #44605).